When it comes to businesses, running it is one thing; another thing is HOW you would run the actual business. Many business owners forget to ask themselves “what is my management style?” then often make the mistake of choosing the wrong management style for their business. Management styles are often overlooked when proper leadership will help your business rise to the top. However, you cannot just choose from an arsenal of management style and settle it with it. You have to find out what is YOUR management style that will work best with your business and with your employees. If you are looking for a solution to your problem, then reading this article means you are on the right track. This article will give information on management styles, types of management styles, and finding out what is your management style. Management simply put, is planning, prioritizing, and organizing work efforts in order to accomplish specific objectives and goals within an organization. With this in mind, management style is a particular way managers go about finishing certain objectives. It includes how they make decisions, plan and organize their work, and how they assert their authority towards their employees. There’s a multitude of management styles. They vary depending on the company, the level of management, and how the manager interacts with their people. A good manager is one who is adaptable and versatile to suit different environments and employees in a workplace. There are a lot of factors that shape a manager’s style like internal and external factors of a business environment and how they see their employees from their perspective. As the name suggests, this style is very authoritative. The manager tells the employees what to do, how to do it, etc. If employees fail to achieve their designated tasks, there are consequences. Employees under an autocratic management style are mostly motivated by fear of their manager and will do everything to avoid failing. In this specific style, managers give all control to the employees without setting specific structures for decision making. This kind of management style will only work on some situations given that the employees are capable enough to handle a project. The problem here is that lack of managing will often lead to inefficiency and role confusion. A consultative management style seeks employee feedback and comments before making actual decisions. This style allows the manager to create a meaningful relationship with their employees, creating trust and loyalty between them. Managers still have the ultimate power in making decisions but at least employees are being consulted on some things. This management style resembles its political counterpart wherein decisions are being done and made by a majority with a real stake for employees. This process is collaborative because the managers and the employees must work together to implement a final decision and create a vision. 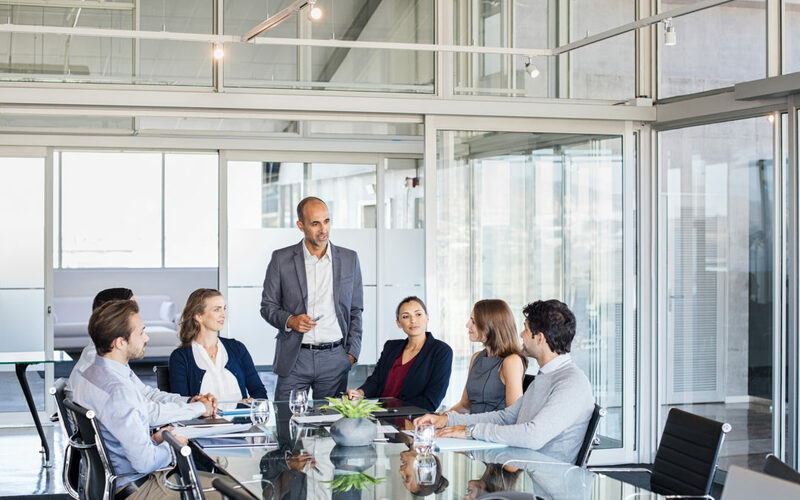 In order to achieve this, a manager must include open forums and effective communication amongst the various levels of a specific business organization. The manager in this style is more of a mentor than a leader. Employees can make decisions going forward and they have the freedom to seek additional advice and guidance from the manager when needed. Employees in this case are independent of their managers but they still have the choice to check back with their manager. Just like the autocratic management style, all decision making is still controlled by the manager in persuasive management style, with the exception of making the employees see or “persuade” why the decisions made are the best for the company. It is a one way process and employees may feel alienated because they have no participation in the decision making process. Based on the given six management styles above, have you considered what is your management style? Managing a business is never easy and requires a lot of hard work, patience, determination, and understanding to make it all work. The best management quality here is adaptability. A certain business does not only need one management style all throughout. As a business owner, you have to adapt and utilize various management styles depending on the situation you and your employees are put into. For example, a team of capable and trained employees are doing a project so you might want to try and use the Chaotic Management Style to allow them to grow on their own and have freedom. A Democratic Management Style could be done to insure employee’s confidence in decision making, which will promote growth on a personal and team level. The possibilities are endless when running a business. Just do not forget that at the end of the day, the goal is to make your dream work.